Dar Hansen's fascination for gas pumps goes back many years. He started collecting gas pumps back in the 80's. 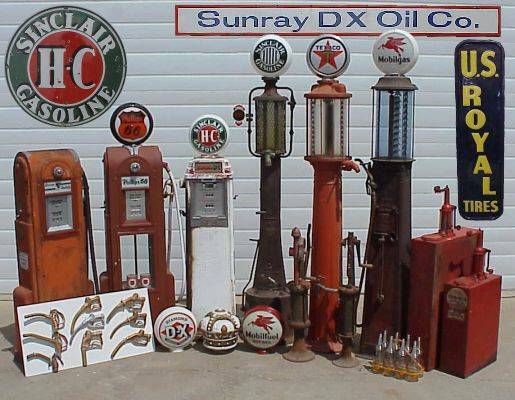 If you are interested in old gas pumps and gasoline items, then you will have to check this website out. He has a large inventory of unrestored gas pumps. You might want to check his website occasionally as he receives new inventory in almost daily. Not all of the pumps that he has are listed, so you can e-mail him if you are looking for something special. Hope you enjoy this website and tell a friend.